It’s like something out of a fairy tale, but if you stay here you won’t be eaten by a witch (well, hopefully not). 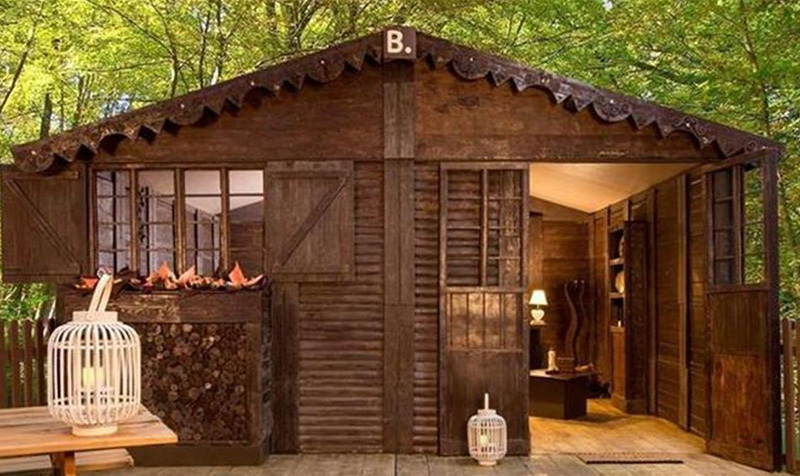 Built under a dome of glass within the grounds of the Cité de la Céramique museum, which is located in Sèvres on the outskirts of Paris, you will find a cottage made of almost entirely of chocolate, and up to four people can stay there. The chocolate cottage is the stuff of Willy Wonka’s dreams – designed by artisan chocolatier Jean-Luc Decluzeau, the cottage is a delectable work of art. Although everything from the flower baskets outside the window to the clock on the wall is edible, guests are not allowed to eat it. But fear not, guests won’t be left without: there are plenty of chocolate treats provided, and breakfast and dinner served in the chocolate flower garden, next to the chocolate duck pond. On top of all the chocolatey goodness, guest can also take part in a chocolate-making workshop in which they learn to make mini chocolate chalets. For die-hard chocolate fans, this truly is a dream come true. 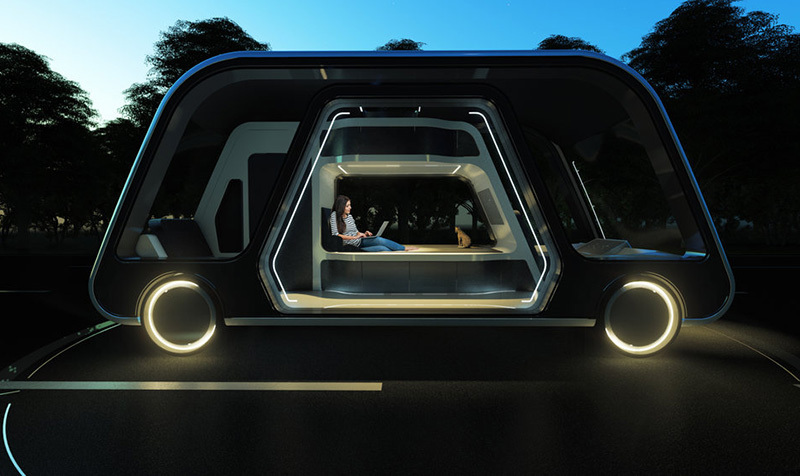 When it comes to innovative hotel suite designs, nothing beats this: the Autonomous Travel Suite (ATS), designed by Aprilli Design Studio, is the hotel suite of the future. This tech-driven, luxury suite has been crafted with the sole purpose of carrying guests on-the-go. The suite is self-driving (which means no tag-in, tag-out system needed) and offers all the luxuries of a hotel room including a bed with memory foam mattress, a work space, kitchen, bathroom, shower and entertainment arena. The ATS has panoramic smart glass windows (which can be dimmed), giving you views like no other while you’re on the move. The ATS works by popping in your start and finish points, along with any stops you’d like to make on the way, and comes in a range of sizes so all your needs will be met. If you don’t feel like sleeping in the suite, you can have the best of both worlds, travelling between hotels in the ATS then enjoying a stay at a “parent” hotel. It’s still having some details finalised, but is expected to be ready for use by 2021 – we’ll just have to wait patiently, and who knows – maybe it will eventually replace domestic air travel!